Amanda had to work on the Fourth of July Weekend so I was on my own to find something to do. It was getting pretty hot in the desert, so I decided to take a break from searching for rock art and head up into the mountains. There weren’t too many roads open yet because of the snow still up in the high country, but there were enough to keep me occupied for the weekend. 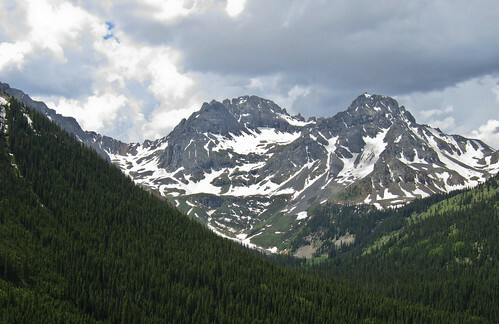 I decided to head south to the San Juan Mountains and take my time exploring along the Alpine Loop. 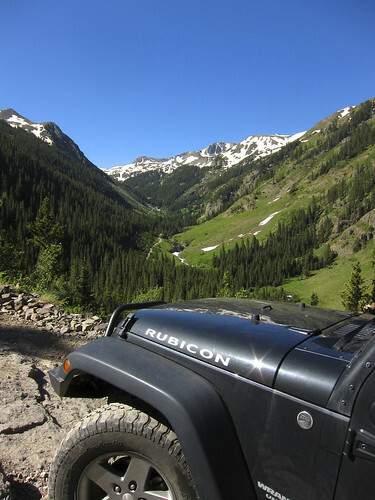 After passing through Ouray I took a left and followed the Uncompahgre River and Mineral Creek up towards Engineer Pass. 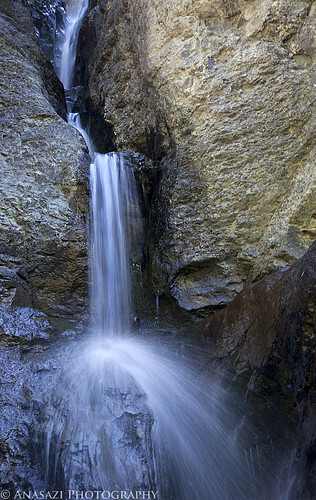 A small waterfall along the road. 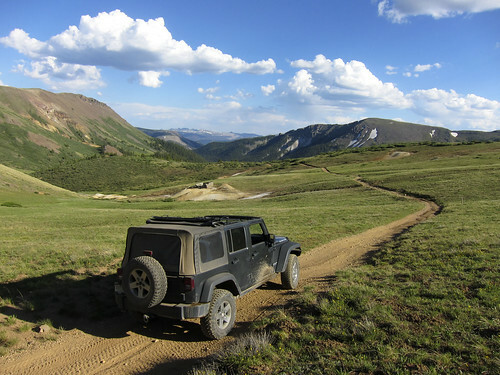 Looking over my Jeep into Poughkeepsie Gulch. Along Mineral Creek and just past Mineral Point. 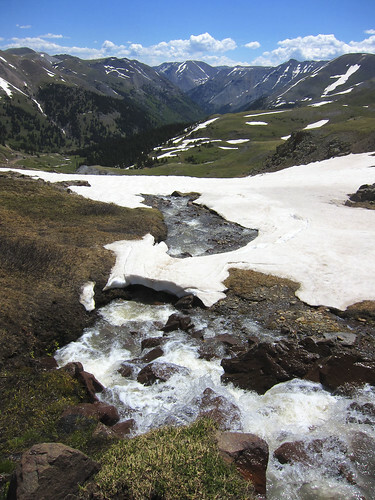 Plenty of snow below Engineer Pass. 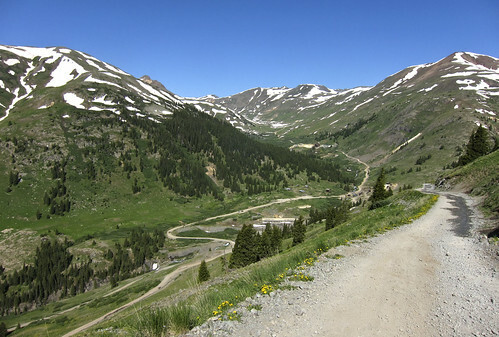 View down Palmetto Gulch on the other side of Engineer Pass. 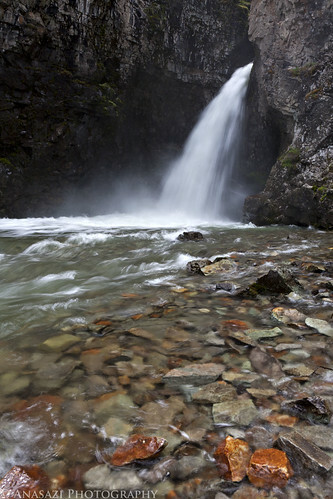 I stopped and hiked down to Whitmore Falls along the way. 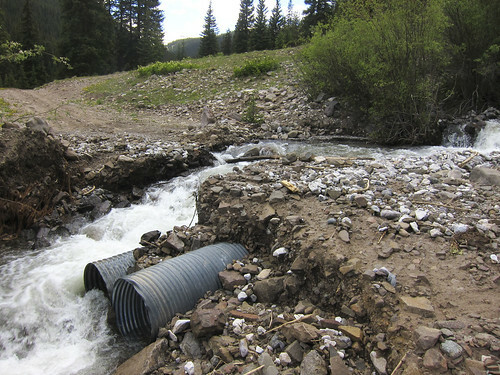 I followed the North Fork of Henson Creek as far as I could go…..this washout stopped my progress. 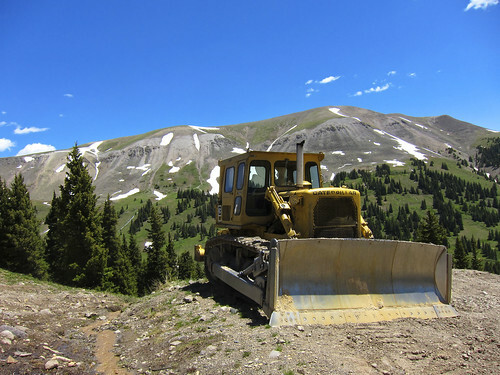 Eventually I reached Lake City and topped off my fuel tank before heading past Lake San Cristobal towards Cinnamon Pass. 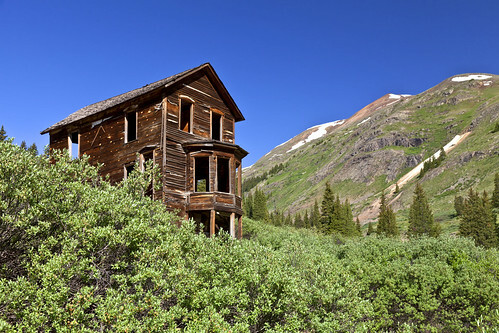 On the way to Cinnamon Pass I took a side trip up Wager Gulch to the ghost town of Carson. 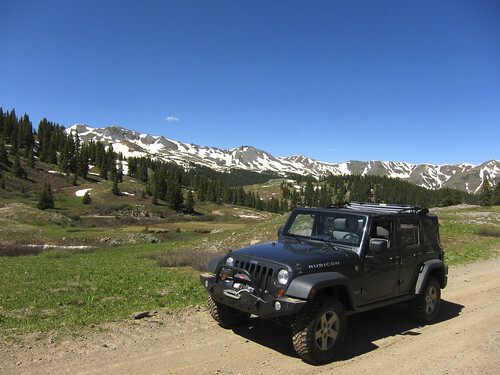 I continued on past Carson to the Continental Divide and explored a few of the roads up there that were above 13,000 feet. 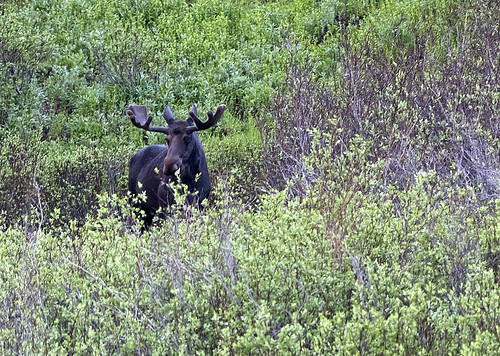 On my way back down from the divide, I spotted my very first moose in the wild. It was prety far away and getting dark out, so this is the best handheld shot I could get. I ended up making camp near Carson and then watched the sun go down behind the mountains. 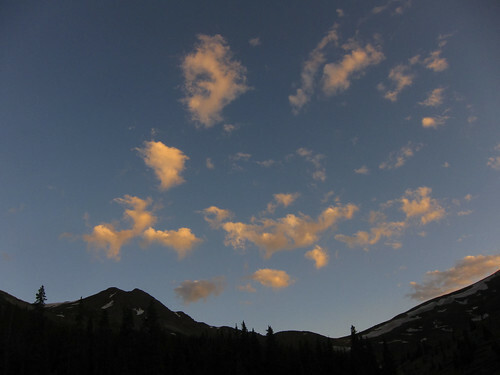 Here, the last rays of the sun light up a few small clouds in the sky above the Continental Divide. 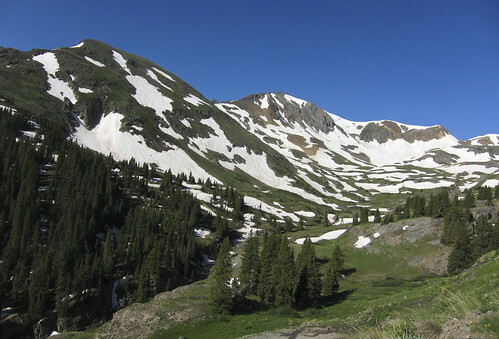 On Sunday morning I continued on towards Cinnamon Pass, but made another short detour along Cottonwood Creek. 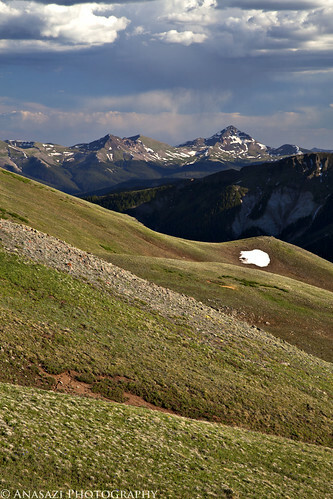 Plenty of snow around on the way up to Cinnamon Pass, too. 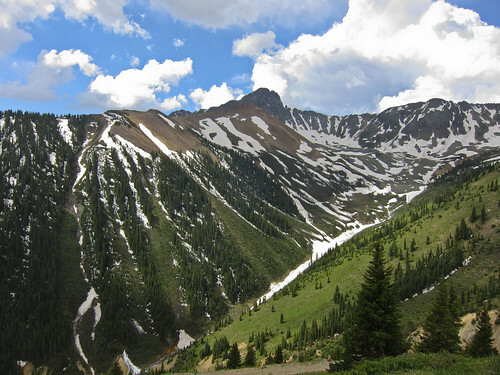 On my way down to Animas Forks from Cinnamon Pass. Of course I had to stop and visit the old Duncan Residence since I was here. 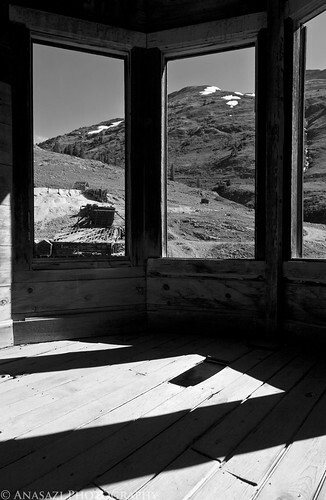 View out the window of the old Duncan Residence. 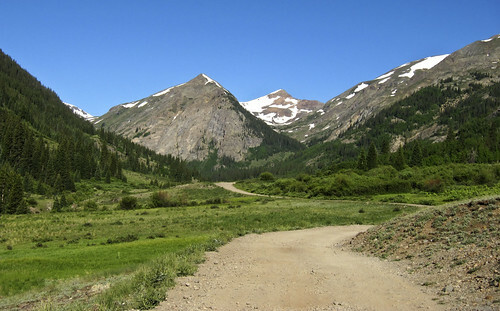 From Animas Forks it was a short drive to Silverton. 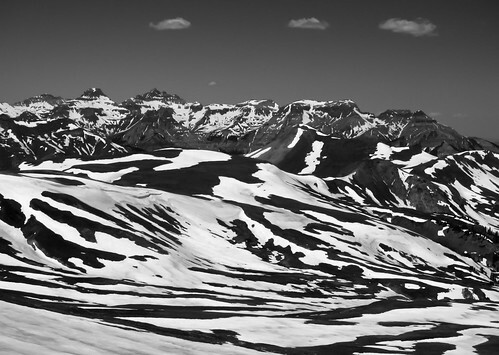 From there I headed over Ophir Pass towards Telluride. 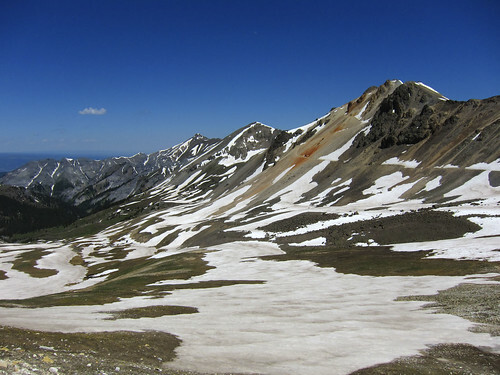 View into Paradise Basin on my way up to Ophir Pass. 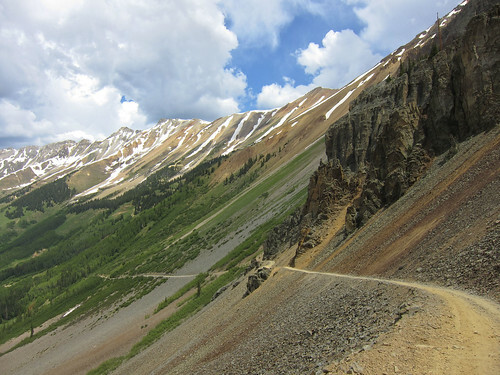 The road down from Ophir Pass. 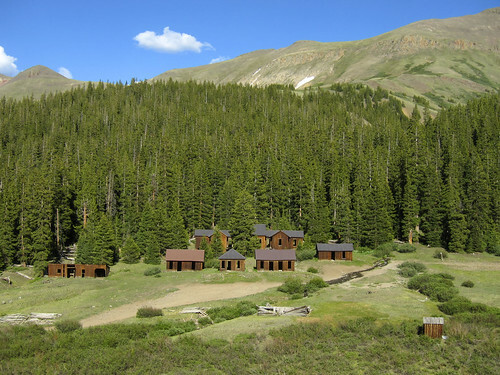 From Ophir I took the Last Dollar Road back to Highway 62 which brought me back to Ridgway, where I started. I was originally planning on camping another night and coming home on Monday, but I decided to surprise Amanda and come home a day early instead. This entry was posted on Sunday, July 10th, 2011 at 2:59 pmand is filed under . You can follow any responses to this entry through the RSS 2.0 feed. Both comments and pings are currently closed. amazing! id love to see this!